1. Weight signifies how large the diamond will look- FALSEThe carat size of a diamond signifies how much a diamond weighs. However, the weight of the diamond is not an accurate sign of how large the diamond will actually look. You can have a 2.0 carat round diamond measuring 8.2mm and a 2 carat diamond that measures 7.5m. A spreadier diamond while the other is an average 2 carat size center. The weight has no factor on how large the diamond appears- it is due to the cut. For an example of a well cut loose oval diamond with larger face up measurements see the certificate to the right. 2. Clarity alone determines sparkle- FALSE The clarity of your center diamond determines how many imperfections, or lack thereof, are within the diamond. A flawless diamond has no imperfections where as an Included diamond will have imperfections likely visible to the naked eye. The sparkle of a diamond is determined by many different factors and the clarity of the diamond alone is not enough to gauge sparkle. A flawless diamond won't always sparkle more than a diamond with SI1 clarity grade rating that has no visible imperfections detracting from the transparency of the stone. The sparkle depends on each diamond in particular and the cut plays a huge part in the sparkle factor as well. A poorly cut flawless diamond may not sparkle, whereas an excellent cut Included diamond may no sparkle either. It is all about a ground of balance. 3. Fluorescence is a negative property for a diamond- False Fluorescence in a diamond is not inherently a negative thing to have in a diamond. It greatly depends upon the exact diamond. You can have an F color diamond with Strong blue fluorescence that exhibits no hazy, milky, cloudy effect. You can also have a J color diamond with fluorescence that does exhibit a hazy, over blue effect. It really depends on the exact diamond so we would not entirely rule it out unless the diamond is hazy and you have a clear visual of it. 4. Round diamond looks the largest- False Round cut diamonds are not necessarily a diamond shape that will always appear the biggest on your hand face up. Round cut diamonds if cut well will exhibit the most sparkle and brilliance due to many factors however they are perfectly symmetrical all around and therefore don't take up as much length on the finger. if you want a diamond that appears large opt for a shape like an elongated cushion, radiant, oval, pear, or marquise. If they are all at the same carat weights, those cuts would appear larger in comparison.The round cut undeniably has the most sparkle but not necessarily the same face up look. 5. SI2 is a "bad" clarity grade- FALSE SI2 clarity diamonds are at the bottom end of the SI range. About 60% of SI2 clarity diamonds have visible imperfections and spots to the naked eye however there are 40% of SI2 clarity diamonds with no visible imperfections to the naked eye. We would not rule out SI2 because with the right guidance you can find an eye clean SI2 clarity diamond. The most important thing is that each person is working within a specific budget. If you wanted to increase the size or color of your diamond, you can do so by dropping to SI2 provided the SI2 is clean. SI2 does not negatively impact the shine and brilliance of the diamond because we carefully SI clarity diamonds to be in the best range possible. 6. Platinum is better than white gold- FALSE Platinum and white gold metal are the two options when it comes to getting a silver color engagement ring. Platinum rings are heavier, more malleable, denser, and over time a platinum ring goes down to a greyish- matte finish. A white gold ring will be lighter, the metal remains shiner, it is slightly tougher, and over time can start to show a slight hint of warm from the yellow tones. Platinum is not inherently better than white gold. If you want a heavier ring with a slightly more luxurious feel then platinum is your option. If you would want your ring to remain shinier over time then white gold is an excellent choice. There is not one direct answer to this so it really depends on your budget and the look you are going for. 7. Diamonds are indestructible, they can’t chip, crack or break- FALSE This is a common misconception that we hear often. Diamonds rate in at 10 on the Mohs Scale of hardness meaning that from all minerals they are at the very top of hardness and are the most difficult to destruct. However, this is not to say a diamond is unable to crack or break. It is possible to break or chip a diamond with the right amount of pressure, at the right angle, etc... There are elements in the world (not minerals) harder than a diamond and human pressure coupled with the right scenario can cause something like this to happen. That is why your diamond needs to be properly cared for and still treated as something delicate. 8. You have to spend 20% of your salary- FALSE When it comes to buying an engagement ring we have heard ALL the budgeting rules. Some examples are you can spend 20% of your salary, or 2-3 months of your pay. In our opinion this is really not a good way to budget yourself. The best budget is one you personally feel comfortable with and can lay out. You can opt for a layaway plan, and also pay with a credit card. 9. Most people think that "Solitaire" defines a Round diamond or that Solitaire is a setting design meaning no halo, not a completely plain setting- FALSE Solitaire comes from the word solo which means just a single stone. A solitaire design is any diamond shape in the middle on a setting that has no diamonds on the band. I.e., not a halo or three stone setting etc... We have a lot of customers coming in and asking for a solitaire design thinking that a solitaire means a round cut center. 10.You have to get a matching band for your engagement ring FALSE There is really no set way that your engagement ring and wedding band need to look. Lots of our clients get bands that are slightly thicker, thinner, different metal colors, textures, etc... There are plenty of ways to pair a wedding band with your engagement ring so don't feel stuck to just one design. 11. A pave ring has to be delicate FALSE- Pave is just a way of setting stones where they are close within the metal. This is a nice bold look while still maintaining the low profile, smooth interior appearance, and comfort of pave set diamonds. However, if it is stated as “micro-pave” that would mean setting smaller stones hence the word “micro”. For an example of a wider pave band see the image and link of the custom eternity band to the right. Keep in mind we can also use larger pave diamonds on the band of your engagement ring if you would like to achieve a heftier/bolder look to the finished piece. 12. An engagement ring in its truest form has to have a diamond center-stone FALSE centers such as moissanite make amazing center stone options for your engagement. If you do not want a diamond there is no reason to be talked into one! There are plenty of amazing options out there. Not only are they cost effective, compared to a diamond, but they are truly unique and allow you to have a special ring- incorporate it with our most popular designs. 13. The engagement ring has to be a complete surprise FALSE If the engagement ring is a 100% surprise there is more room for error. The best thing to do is ask you significant other ideas for what they might like or even take them along for a trip to take a look at rings in person. This way you can be sure of the exact design she likes. The actual proposal will still be a surprise since your better half will have no idea when the ring is actually going to show up! 14. There is such a thing as "Signature Ideal Cut" or "Super Ideal Cut" FALSE GIA does not grade anything as Signature Or Ideal cut. they dont use the word "IDEAL". The only cut grade a GIA certified diamond can get is Excellent. 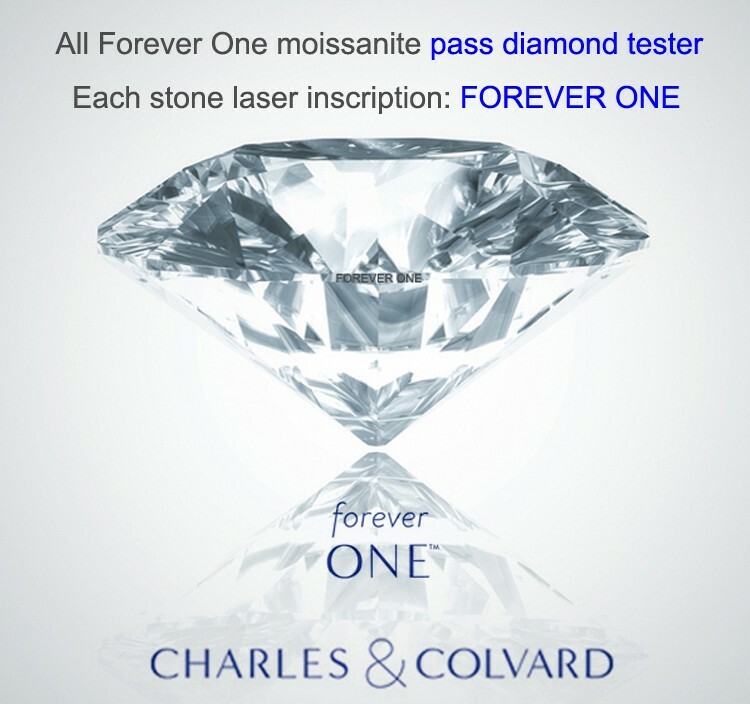 Signature or Ideal cut, Marcel Talkowsy, Forever Mark, Loe ideal and many other names are just labeled by online retailers to make generate more business and draw more attraction to a more "exclusive" product when in reality it is just an Excellent cut diamond. If you do not believe us, go on the GIA website and read all about it. 15. A cushion cut diamond, or any fancy shape, can have an excellent Cut great FALSE This is another tool used by online retailers to attract customers. GIA only grades Cut for Round cut diamonds specifically. They do not grade cut on any fancy shapes such as oval, radiant, pear, etc...A fancy shape diamond can be extremely well cut however labeling it as that is not something to take light Other shapes are cut to many different ratios of length to width , some more elongated others square it is impossible to give them a cut grade. THINKING OF SELLING YOUR DIAMOND RING ? The is a guest post by http://www.barbaradiggs.com/">Barbara Diggs, a Paris-based freelance writer specializing in personal finance. Christine isn’t the only cash-strapped American setting aside “a diamond is forever” sentiment to sell their jewelry these days. Josh Opperman, founder of the website “I Do… Now I Don’t” which specializes in the sale of “pre loved” diamond jewelry, reports that 2011 was the site’s best year for diamond ring-listing and sales. Now is a good time to sell. Thanks to an escalating taste for diamonds among the middle class in China and India, diamond prices soared in 2011, increasing by 49% in the first half of the year before ending 19% up overall by the year’s end. As a result, an increasing number of sticker-shocked jewelers are restocking with diamonds purchased from the public, rather than buying from wholesalers. "You're seeing a lot more signs in [jewelry store] windows saying 'We buy gold and diamonds,' not just 'We buy gold,'" says Rob Bates, senior editor of the Jeweler’s Circular Keystone magazine, a leading trade publication in the jewelry industry. "I even spoke to one jeweler who is only buying diamonds off the street these days." While the timing may be right, selling your diamond can be a major headache. Unlike gold, which has a quantifiable melt value, resale prices for diamonds have no one objective measure, making it easy for inexperienced sellers to become confused and overwhelmed. To help unravel the mysteries of diamond selling, here are four tips to consider before hocking your stone. Just because Granny said her old diamond ring was valuable doesn’t make it so. It doesn’t even make it a diamond. So, before you rush to market, get an accurate picture of its quality and authenticity. A qualified appraiser – preferably one that doesn’t buy or sell diamonds – can give you an unbiased opinion of the stone’s characteristics and condition, and highlight positive and negative attributes that could affect its value. But spending money on a formal assessment isn’t always necessary,says gemologist Neil Beaty, owner of American Gem Registry, an appraisal service in Denver. If you’re short on funds and the diamond is likely worth less than $2,000, have the stone evaluated for free by a professional diamond buyer or even a pawnbroker. Visit two or three shops to get a range of opinions; in the end, you’ll have a solid idea of the specifications and state of your stone. Having unrealistic price expectations for your diamond is the fastest way to disappointment with any ultimate sale. Beaty recommends two approaches to determining a shrewd price. First, if having an appraisal, ask how much the stone might be worth in specific markets and circumstances. “Discussing pricing strategies is about 80% of the benefit of an appraisal for resale customers,” he says. A good appraiser follows current market trends and can help you understand the potential resale value of your diamond. Resellers of diamond jewelry have two options: sell to the jewelry industry or to the public. Choosing a buyer isn’t always about getting the top price, says Beaty, but is often a function of how quickly you can settle the deal, how much you trust the buyer, or your stomach for negotiation and marketing. The primary advantage of selling to someone in the jewelry industry is time. If you want to sell quickly and safely with little fuss over marketing, target a jeweler, diamond dealer or pawnbroker. “The most important thing is to choose someone you trust,” says Murray Rose, President of Rose Estate Jewelers in Chicago. Always check their Better Business Bureau rating or seek out American Gem Society members, who are dedicated ethical business practices. The downside to selling to an industry insider is that you’re unlikely to get top dollar. Since they intend to make a profit from your stone, they have no reason to pay anywhere near retail value. Generally, members of the public pay more for diamonds than industry insiders, as they’re looking to save on retail but can’t access wholesale prices, says Beaty. The hard part here is finding the right buyer. Online classifieds such as Craigslist can bring success, but you’ll have the hassle of filtering out the weirdoes and cons. eBay is a good platform, particularly if you have previous selling experience there. Another option is “I Do…Now I Don’t”, a relative newcomer to the online auction scene. Like eBay, the site allows sellers to list diamond jewelry with pictures and descriptions. However, unlike eBay, once a buyer and seller make a deal, both the ring and money are sent to the site. “The money is held in escrow while a certified, independent gemologist authenticates and appraises the [diamond],” explains Josh Opperman, the site’s founder. “The buyer’s money is only released when the diamond certification process is complete.” The site takes a 15-18% commission on sales. Also consider giving your jewelry to a consignment shop or dealer to sell for you. You might fetch a better price than selling to an industry insider because the diamond will be sold to the public, but the dealer will take a 25-40% commission. If you choose this option, never fail to obtain strong dealer references, says Beaty. When leaving your diamond with another person, you should trust them absolutely. Because diamonds are often symbols of passion or love, they can be harder to part with than any other piece of jewelry. Nonetheless, “you have to leave emotions out of selling,” says Rose. Sentimental value may raise the price of the diamond in your eyes, but a potential buyer won’t be so moved. Please contact me to design your perfect Diamond ring EXACTLY how you want it . ORIGINAL ring she ddidn't want to sell. I will email you a few center options andprices to make your selection . Ok....So you started Ring shopping .... went to a few local stores and looked around online right. Are you Driving your self crazy yet ? "What's the difference between EGL and GIA?" 2. Diamond Certificates are from Labs that outline the details of the stone, Both are recognized Labs which are distributed to Diamond Districts and Jewelry Stores across USA ,CANADA, AUSTRALIA and WORLD WIDE. Offered on Online sites as well as on Ebay. One of my jeweler colleagues once told me this. If you want to buy a car lets say you go to a Car Dealer who show you a 2015 Mercedes-Benz S-Class S550 VS 2015 Hyundai Equus -BOTH Black -4 door sedans with similar options. You look at both and test drive them. However you decide to buy the Hyundai, You love the way it looks and drives and the Price it's offered at. Can you then expect to go down the road to a Certified Mercedes Dealer and ask them to "confirm or Verify" your car is Exact as a Mercedes and worth Just as much? This is what a lot of people do they buy a Gorgeous diamond online and then go to a local Jeweler who didn't sell them the ring to "Verify what a Great deal they got" what do you think they will tell you or try and do???? ?when you ask their "OPINION" on your Deal"? Going back to the certificates, ALL LABS use different Grading systems and diamond grading for mainly color and clarity is done at every laboratory not with machines but by the human eye. THEREFORE IT IS "SUBJECTIVE". This is where they vary, and each Certificate even GIA will not offer any warranty as to their grading. You can send the same diamond to GIA in LA and NY and get 2 different opinions !!!! it has happened MANY TIMES , certificate is a guideline of the diamonds details NOT A GUARATNEE even when you buy GIA . ALL CERTIFICATED INCLUDE A DISCLAIMER : GIA CERTIFICATE WHICH STATES " THIS REPORT IS NOT A GUARANTEE OR VALUATION" " IT is the Lab's "Opinion" which is SUBJECTIVE and Vary depending on persons, training, eyes, and techniques and equipment used at the time of grading, lighting and many other factors. 5. A certificate alone will not describe how beautiful or ugly the diamond is in reality. Nor will it tell you if it sparkles ,No matter who certified it..... ONLY your eye can determine that FACT! Therefore that is why I offer the 3-Day inspection period from delivery to you, on any item I ship out. This will give you the opportunity to see it for yourself and make your own decision if you love it or not . Two diamonds with the exact details can still look different and be prices differently and THERE ARE NO TWO DIAMONDS THAT ARE IDENTICAL .